Above and below: these two photographs have been kindly provided by Marian Barker (nee Phillips), whose family lived in Kent Avenue until moving away about 1960. 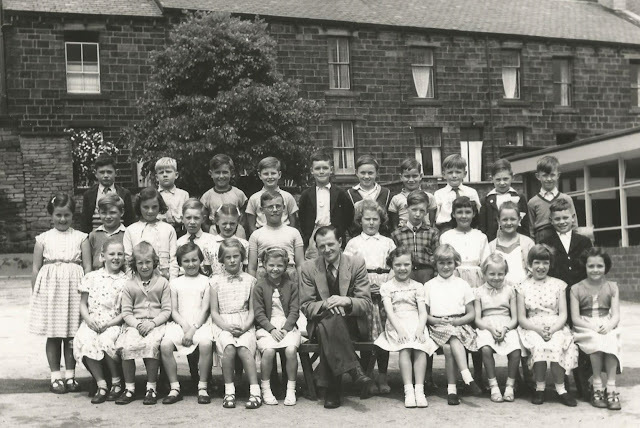 The teacher in the Aire View School photograph above is Roy Stubbs. 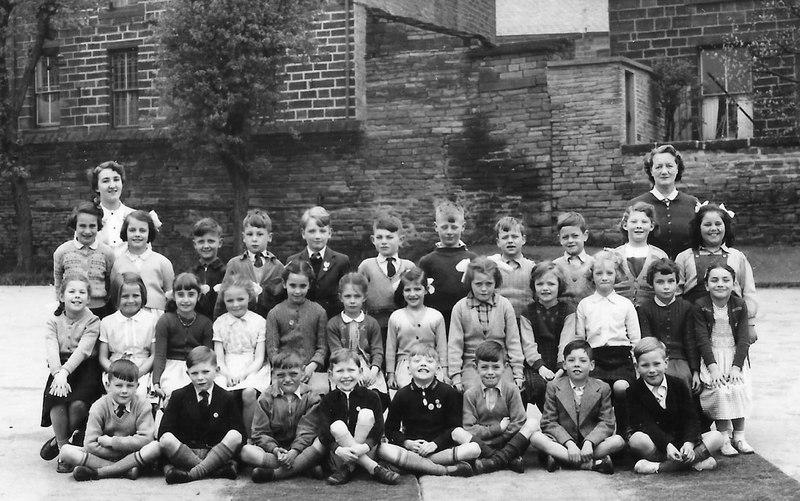 Marian, who now lives in Keighley, says she has nothing but happy memories of her Aire View school days. The nursery school in Prince Street circa 1957. Marian's mum and dad were Leslie and Gladys Phillips and she had four brothers. Above: another Aire View class circa 1956. The teacher on the right is Mrs Belton, whose son Andrew became a local GP. 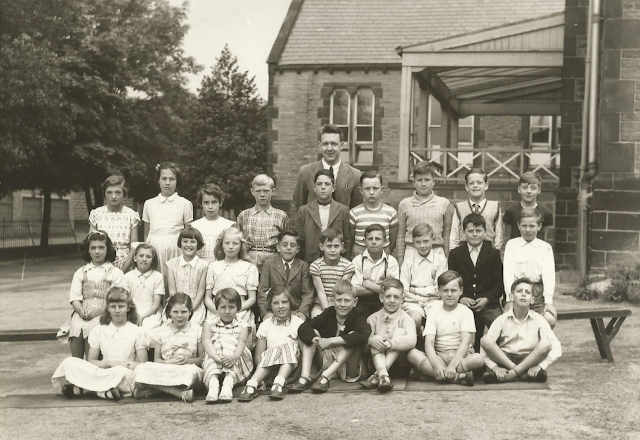 Above: again from the 1950s, this Aire View class is pictured in the playground with Elliott Street to the left. Look away now if you don't want to see where a new school might be built. 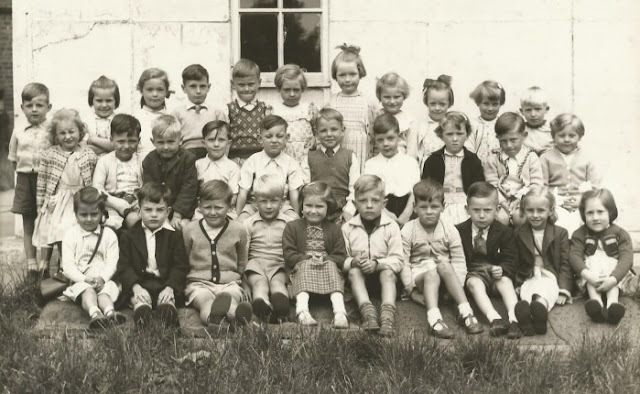 Aire View School (founded in 1877) and Hothfield Street School, which opened in 1914, are to merge.The new primary school will move to purpose-built premises, which are due to be ready for occupation by 2019 with room for 600 pupils. Bradford council's favoured site is the Hawber Cote farmland near to Drabble House. There are already nightmares about traffic and access, not to mention the intrusion into a tranquil rural retreat. The school could be built on the fields bordering the bungalows roughly left of centre of my photograph above.